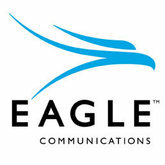 Eagle Communications started its journey into the world of communication in the year 1948. This Kansas based organization initially cemented its strong hold in the field of cable television, radio broadcast and commercial television business. Later, in the year 1989 to capture the boom of the internet in U.S. It has shifted its business and zeroed on the new emerging trend of communication, internet. Previously company was under the ownership of Bob Schmidt. Presently the company's stocks and shares are equally owned by the 116 loyal employees of the company, who are now also the present owner of Eagle Communications. There are currently 1 consumer reviews about Eagle Communications available. Share your review. Not reliable, consistent outages with phone/cable/ Internet. Cable service is less than desirable (when working), you'd expect better quality with an antennae! Please take a note that you are about to post a public review about Eagle Communications corporate office on CorporateOffice.com. This review will be public, so please do not post any of your personal information on this website. If you would like to contact the corporate offices of Eagle Communications, please use their contact information such as their phone number, website, and address listed above to contact them. However, sometimes staff from Eagle Communications headquarters do read the reviews on this website.